The Supreme Court bench of Chief Justice Dipak Misra, Justice D. Y. Chandrachud and Justice A. M. Khanwilkar on Wednesday refused to extend the scope of a writ petition filed by a Karnataka based 26 year old girl, allegedly married without her consent, to accord an express interpretation that the Hindu Marriage Act of 1955 mandates prior consent of both parties to marriage as a prerequisite for a valid marriage. The Bench was hearing a petition challenging the constitutional validity of Sections 5(ii) and 7 of the Hindu Marriage Act, 1955, in as much as the same are in violation of Articles 14 and 21 of the Constitution, arbitrary and discriminatory in nature. “If she does not desire to go to the matrimonial home, that is her choice. If her husband tries to bring her forcefully, then the writ for habeas corpus shall lie. Now that the marriage has been solemnised, she will have to take suitable recourse in accordance with the statutory provisions. We can only accord her protection as an interim measure”, remarked the Chief Justice. The petitioner submitted that her right to choose her life partner, has been brazenly trampled by her family members, who in connivance with each other have coerced, threatened, blackmailed, harassed, pressurized, abused, compelled and tricked her into getting married to Respondent No. 6, against her wishes and free consent. “In Hadiya’s case, the girl had wanted to affirm the marriage, but here, the problem is that the petitioner was married without her consent...there is lack of clarity in the statute on prior consent of parties to marriage...”, she continued. Referring to section 5(ii)(a) of the Hindu Marriage Act, which stipulates that for a marriage to be valid, it is necessary that neither party is incapable of giving a valid consent thereto on grounds of unsoundness of mind at the time of the marriage, Ms. Jaising stressed on the term/phrase ‘incapable’ and ‘unsoundness of mind’, submitting that the language of the said provision is “peculiar”. It is also submitted that Section 5(ii) carves out a distinct group from amongst persons who are equally placed i.e. persons intending to get married. The said classification only takes into account persons who are incapable of giving consent as a consequence of “unsoundness of mind”, “mental disorder‟ and “recurrent attacks of insanity”. The impugned provision whittles, confines and restricts the requirement of a valid consent and presumes that consent obtained from a prospective spouse barring the aforesaid 3 circumstances is valid. “It completely overlooks the fact that consent of a prospective spouse can also be obtained as a result of coercion, threat, blackmail, harassment, pressure, physical and mental abuse, as well as trickery, just as in the present case. The requirement of a valid consent as one of the conditions for marriage has to be a standalone provision independent any trappings mentioned in sub-clauses (a), (b) and (c) of the sub-section (ii) of Section 5 of the Hindu Marriage Act, 1955. Not only is the impugned provision not based on any intelligible differentia and is unreasonable, it also has no nexus with the object sought to be achieved by the Act i.e. codification of marriage laws amongst Hindus. It has already been highlighted that the freedom of choice of a spouse is an integral facet of the right to life. As such to denude a person of his full and free consent, independent of the narrow confines of Section 5(ii), only defeats the object sought to be achieved by the Act”. In respect of section 7, dealing with the ‘saptapadi’ and other ceremonies for a Hindu marriage, she contended, “the ceremonies may vary from marriage to marriage...there is no ceremony which requires the expression of consent”. “Section 12(1)(c) provides that where the consent of a party to a marriage was obtained by fraud or under force, the marriage may be voidable...that means consent is necessary...consent procured by fraud is on the same footing as the lack of consent...section 5(ii)(a) postulates that consent is essential”, noted Justice Chandrachud. “If marriage was solemnised without consent, then civil action may be pursued to declare the marriage null and void...marriage where consent is obtained by fraud is less serious than where there was no consent at all...”, added the Chief Justice. “It is a general proposition that a woman has the right to choose her partner for marriage...but there are no judgments on the necessity of consent...section 5, 7 and 12 need to read together and interpreted...”, persisted Ms. Jaising. “The interpretation will be made when lis arises...if the family court refuses to declare the marriage null and void for lack of consent and the High Court agrees, then we shall interpret...”, responded the Chief Justice. 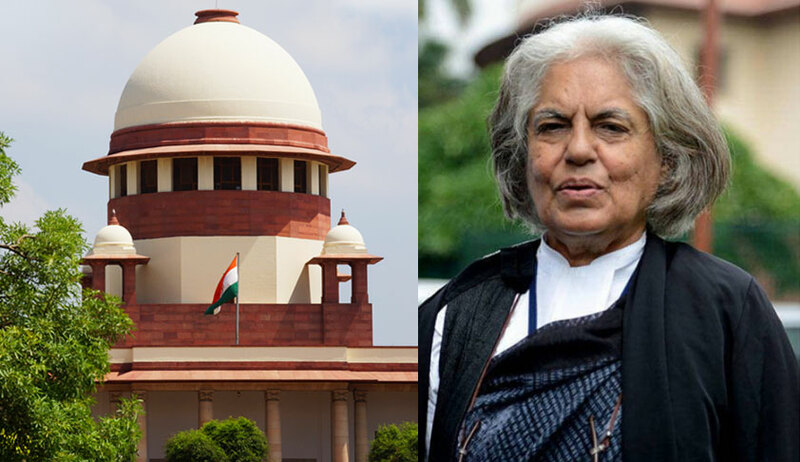 Ms. Jaising, on Wednesday, advanced that there is a judgment of the apex court holding that in circumstances as in the present petition, a decree annulling the marriage is not required, which she shall submit before the bench at the next hearing. The Bench directed that the petitioner may remain in Delhi, according her adequate police protection. Although the bench refused to leave the question of law as to the mandate of prior consent open and confined itself to the issue of writ of habeas corpus, it permitted Ms. Jaising to refer the bench relevant authorities at the next hearing. The bench issued notice to the Centre as well as the state of Karnataka, scheduling the matter tor further hearing on May 5.